Choose aluminum, nickel silver, bronze, nu gold, or copper. 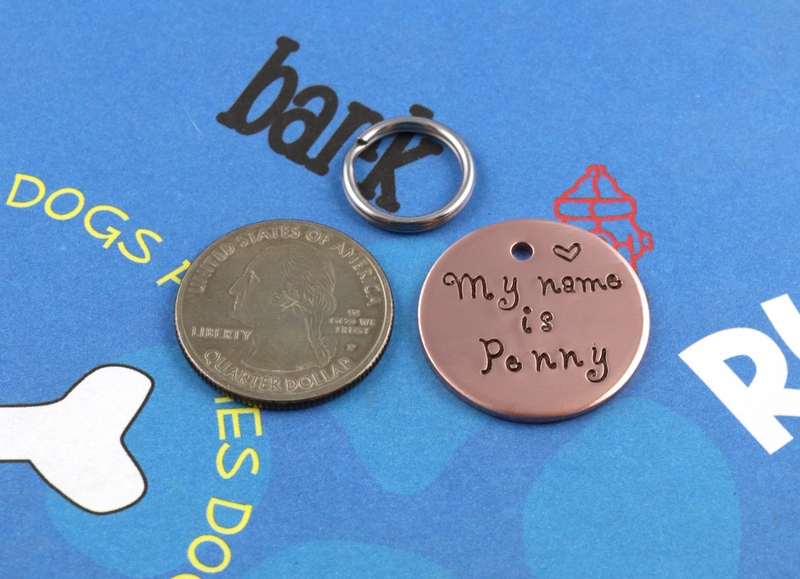 One-inch pet ID tag, hand stamped as shown in the sample photos. 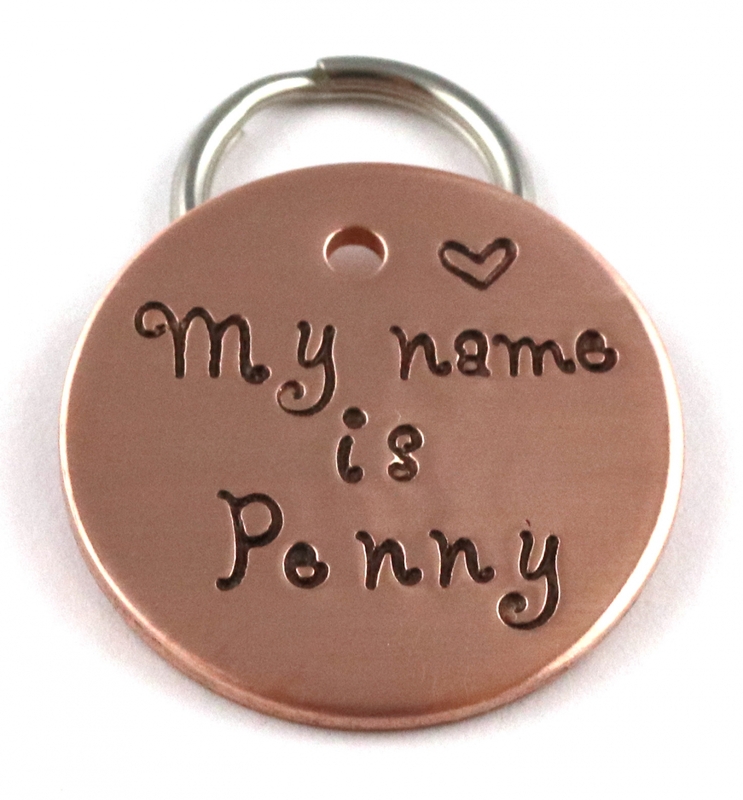 "My name is (your pet's name)" will be stamped on front, and one phone number stamped on back. 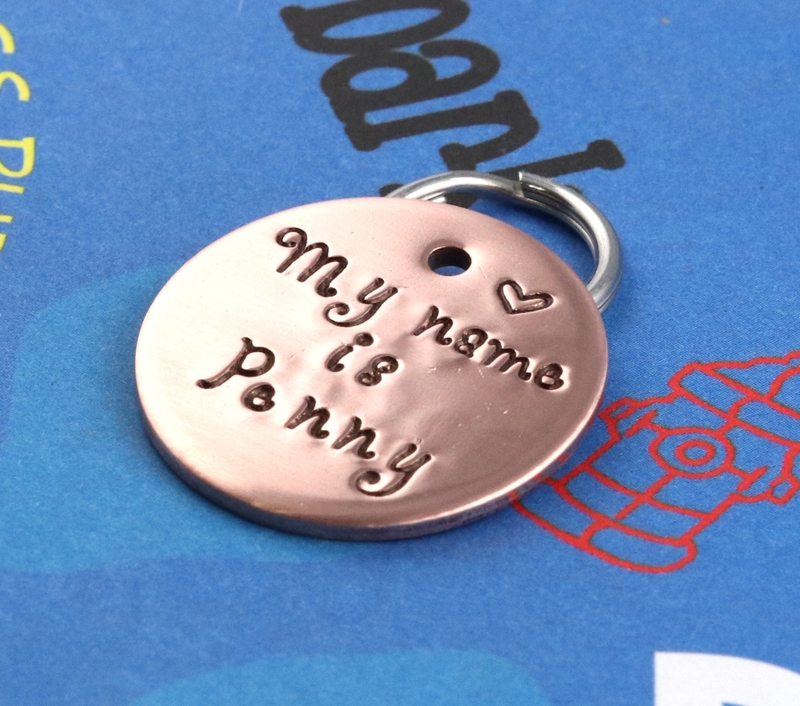 Critter Bling custom pet tags make great birthday and Christmas gifts! 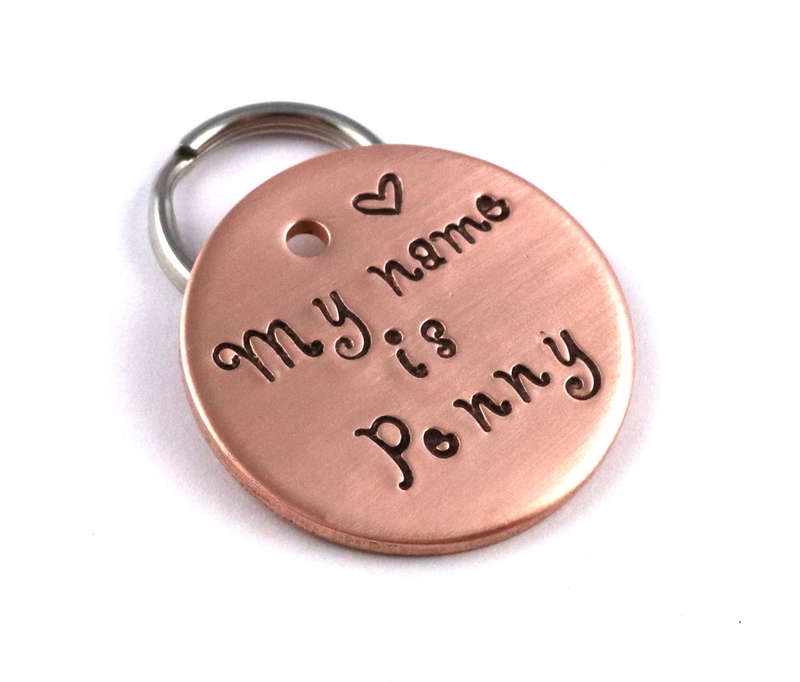 What is a hand-stamped tag? 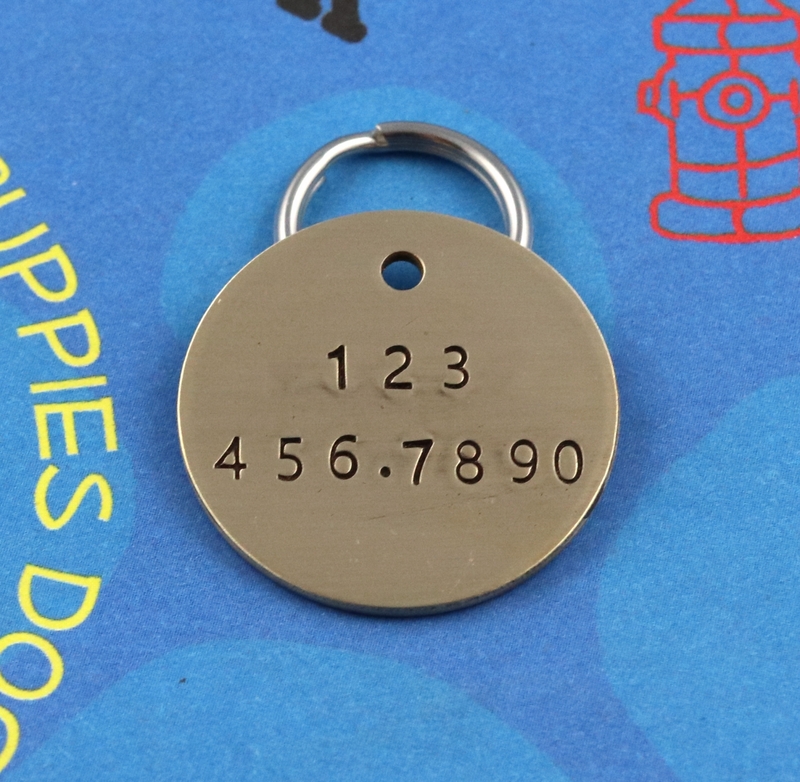 Each letter or number is stamped by hand into the metal (as such each tag will have some slight variations in the stamping depth and spacing and will be totally unique). Note that this is a custom item made just for you, and your tag will vary slightly from photos. Split ring will be included for attaching tag to collar. 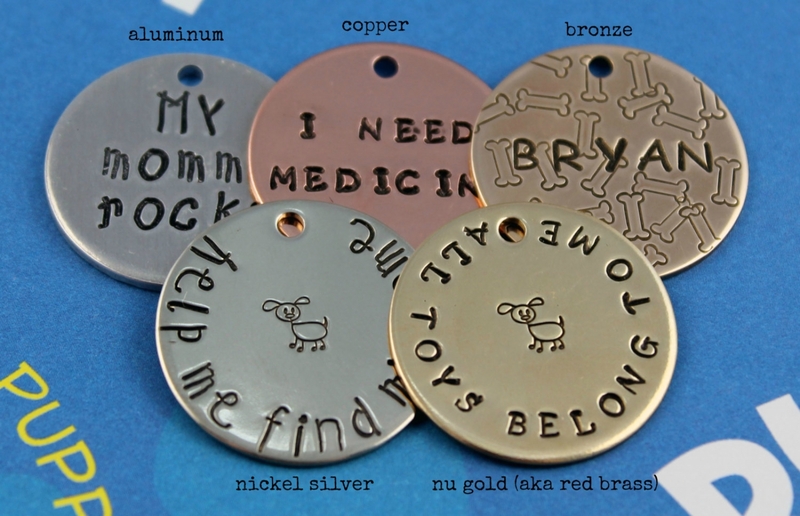 If your pet's tag is made of bronze, copper, or nu gold, it will patina naturally over time to an aged appearance. If you prefer to keep the tag bright and shiny, a complimentary polishing pad is included. Production time is 5-10 business days.